Cybersecurity breach can strike at any time and any organization’s website that may have put in place the most sophisticated and impregnable security systems. 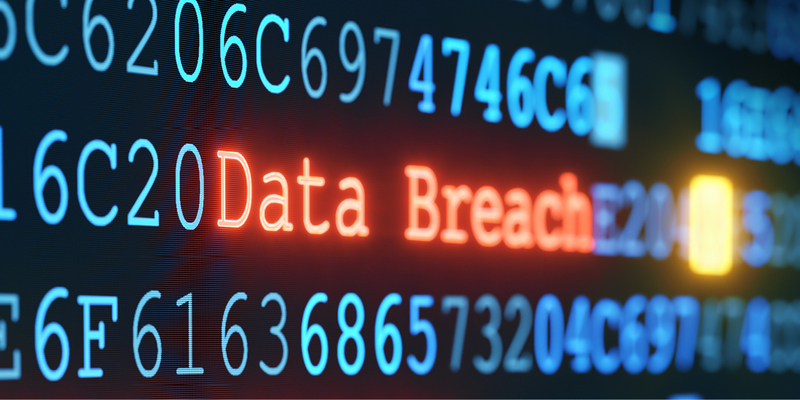 This has been confirmed a time and again in the recent past, and the Equifax breach has just underlined the grim reality of cyber security’s vulnerability and lack of cloud storage. Hackers have struck again and this time they have impacted as many as 143 million consumers from the US. The gravity of the attack can be appreciated by learning that the cybercriminals have in their possession vital details including addresses, birth dates, credit card numbers, license numbers, and even their Social Security numbers of these vulnerable people. The attack has left Equifax, the well-known credit reporting agency stunned as, in addition to vital personal identifying information, the hackers have in their custody a major share of documents as well as credit card numbers. Although there are unconfirmed reports to suggest a breach of some of the Canadian and UK citizens’ identity, it is yet to be revealed if the identities of citizens of other countries have also been compromised. This was a result of exploitation attempts by criminals to break into a vulnerable website application that was part of the US website and had no reliable cloud storage mechanism or data backup facility. The CEO of Equifax has offered his deepest apologies to all affected consumers. He has also accepted that in spite of using top of the line security measures the event has occurred and has caused untold misery to millions of stakeholders and consumers. The company has initiated all-out efforts to support consumers by developing an all-inclusive portfolio of services. Equifax has also built a special purpose website to enable users or affected customers to know the extent of cyber attack as far as their personal information is concerned. A customer needs to enter Social Security Number’s last six digits to find the correct information. This sounds a bit paradoxical because the company whose customer’s data was hacked has started asking for the same data from its own consumers. This underlines the importance of cloud storage. In addition, individuals are not offered anything more than a generic statement that confirms the addition of their names in a free offer for protection against the cyber attacks. The entire reaction is not even addressing the real crux of the issue since consumers are in need to know whether their security information was breached or not. People are not sure about the real intention of Equifax in asking about the most significant portion of personal numbers and other details such as IP address, name, and so forth. Some individuals feel that the information is being collected only to receive an update, what has been stolen by criminals. The existing information may have been corrupted by hackers and the company needs to restore it. The sweet speech of Equifax CEO does not seem to have had any effect whatsoever and is labeled as being selfish in not approving cost intensive security measures to save his fat salary. If you have embarked upon collecting vital information of customers, then you should also be responsible for instituting cutting-edge security systems that are equipped with robust cloud storage solutions. The leading companies in credit and finance sector seem to have no respect top consumers privacy and information security. It is not surprising that the affected consumers are demanding asset distribution to compensate for a loss of private information. These companies must be made to taste bankruptcy so that the other players can learn a lesson or two from the episode. There is a feeling among customers that these companies are sure to go scot free unless new and more stringent privacy protection laws are put into practice. These laws will have provisions to fine these companies or power to prosecute the concerned executives. Since there is hardly any way to find out the persons or the person responsible for hacking, one must focus on the people who could have been benefitted by this breach. The company must be banned to do the business for the next five or ten years in addition to fining significantly. The most interesting feedback is about freezing assets of the topmost executives for not assigning the required importance to such vital information. There have been innumerable instances of the trading of information related with personal details of consumers. The unsuspecting consumers are not even aware of this and only come to know following a breach of such magnitude.